I loved coming across an app with a leather texture, taking a screenshot and then figuring out how to make my leather â€˜more realâ€™ in Photoshop. Same with brushed metal and lighting effects. Collecting static screens leaves out nuances like its context in the overall flow, entry and exit transitions, animations and microinteractions. As apps became more flatter and smartphones got more powerful, apps got smoother and started to rely on animations to create captivating user experiences. The best apps donâ€™t just have good visual design, but take you from A to B in the best way possible. 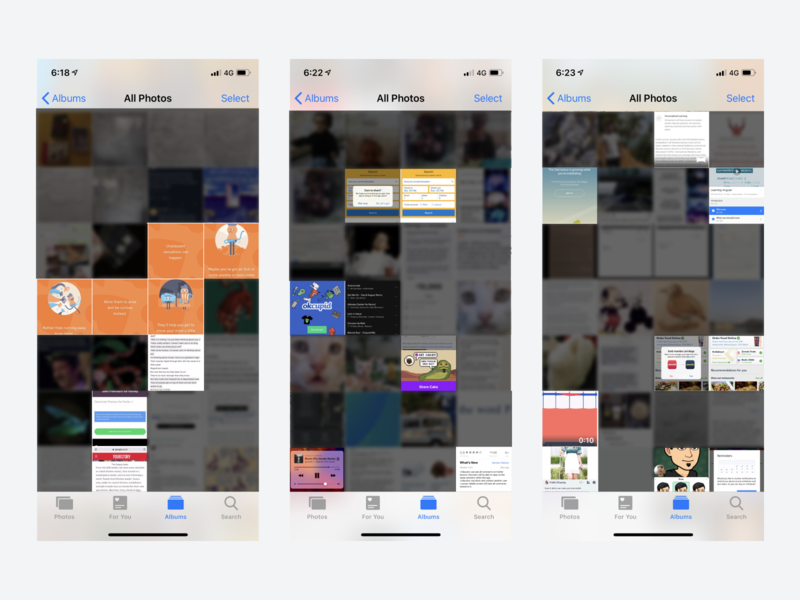 As designers, we perceive apps as clean sequences of screens in Sketch. But to real users, apps are a continuous space where elements appear, information is conveyed and tasks are done with efficiency and often with delight. As you can tell from the above screenshots, my camera roll at any point has a mix of photographs, screenshots and memes. Over time it gets harder to reference an app that Iâ€™d taken screenshots of. I tried creating folders, using third party apps and even creating a tumblr but it didn't have the most efficient structure. If I ever needed to check out say, how Headspace did onboarding, I'd have to scroll through my camera roll all the way and hope to catch a glimpse of it. I began designing and developing UI Sources sometime in June/July. Within a month, I had a pretty good functional site that I started sending out to friends. This helped in early feedback and understanding how other designers research apps in their design process. 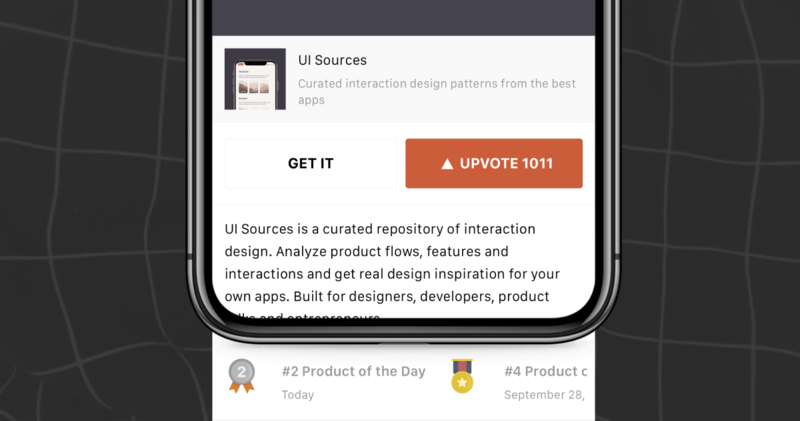 Then on July 30th, I submitted UI Sources to ProductHunt. I received some amazing feedback, over 100k page views, 1000+ upvotes and ended up as #2 product of the day. I've documented that whole process is a separate blog post, check it out here if you're interested in the story! 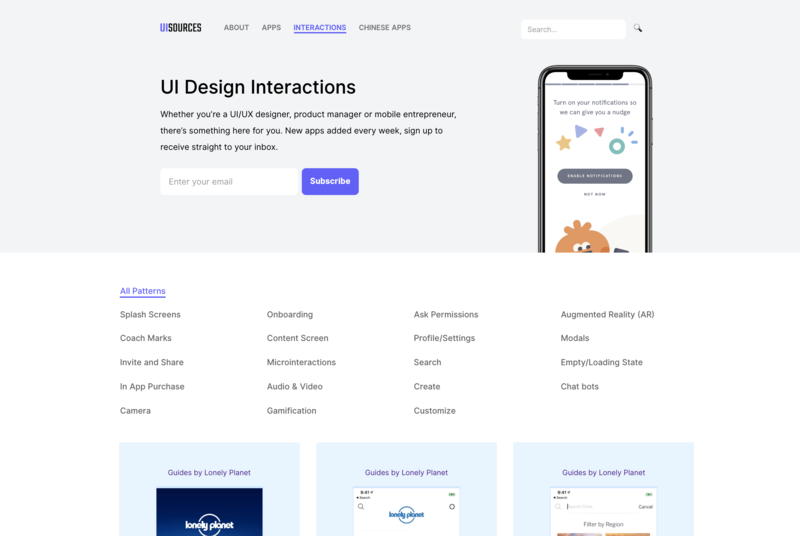 So far, UI Sources has around ~500 interactions from apps Iâ€™ve admired and looked at for inspiration. Thereâ€™s some interesting categories you might want to check out including Augmented Reality, Gamification, Onboarding, Microinteractions, Chat bots, In App Purchases and more. Back in 2009, I watched the Social Network. A few months later, I enrolled in Computer Science at college so that I could build the next big thing. A year and a half later, I realized that college wasn't going to teach me how to build great products. I began to teach myself design â€“ starting with posters and t-shirts. I also began freelancing online and several low value projects later, began to get app and website projects from all over the world. This was a few years after the first iPhone came out. I got the chance to work with aspiring entrepreneurs and designed a new app every other month for the next three years. Eventually, I decided to make my own app. My co-founders and I built an app in a field we were passionate about â€“ music. The app was a way to listen to music together in a chat room, just like sharing earphones. Over the period of a year, I went from designer to founder to growth hacker to a hundred different roles I had never done before. We eventually shut it down after realizing that cracking viral growth for a social app was one of the hardest things ever. Add music licensing to the mix and it becomes even more impossible. Hence, somewhere along the way I realized that I didn't want to be a designer all my life. Design was not the answer to building great products. It was a mix of having a great idea, executing on it really well, launching, finding distribution channels, getting the communication right, continuously iterating and a lot more. UI Sources is my current side project to build something in design â€“ a field I know about, for users I understand. As of writing this, Iâ€™m at 56 apps and 552 interactions with the goal of building the most useful repository of mobile interactions. 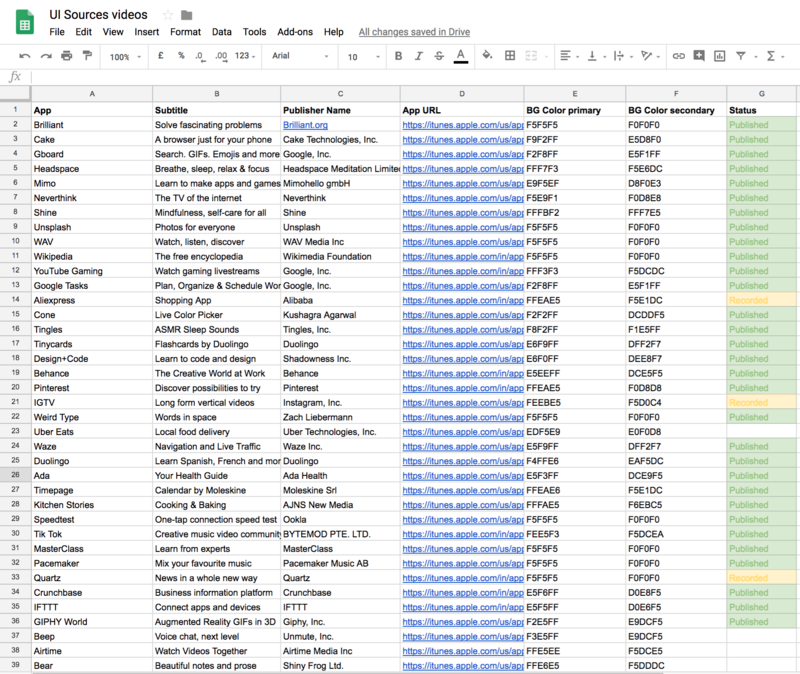 I also constantly receive recommendations from all of you and have an ever expanding spreadsheet of apps that I'm slowly working through. 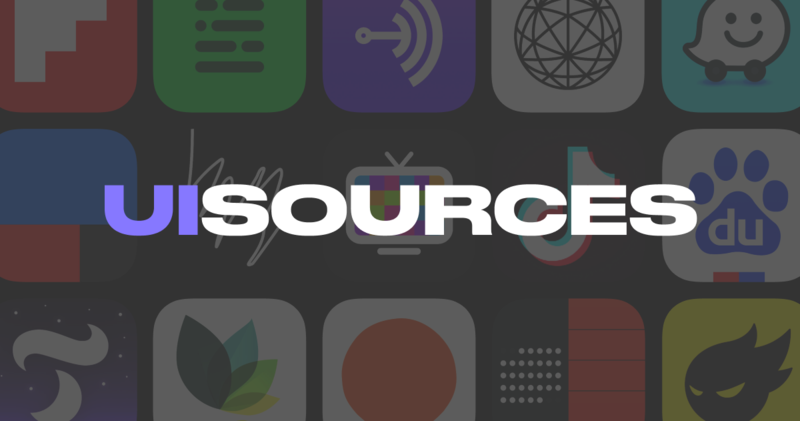 If you ever find an app you enjoy, be sure to submit it here! Iâ€™m openly writing about my progress every month with open metrics like page views, email subscribers, operating costs and more. Sign up to the newsletter below or follow me on Twitter!